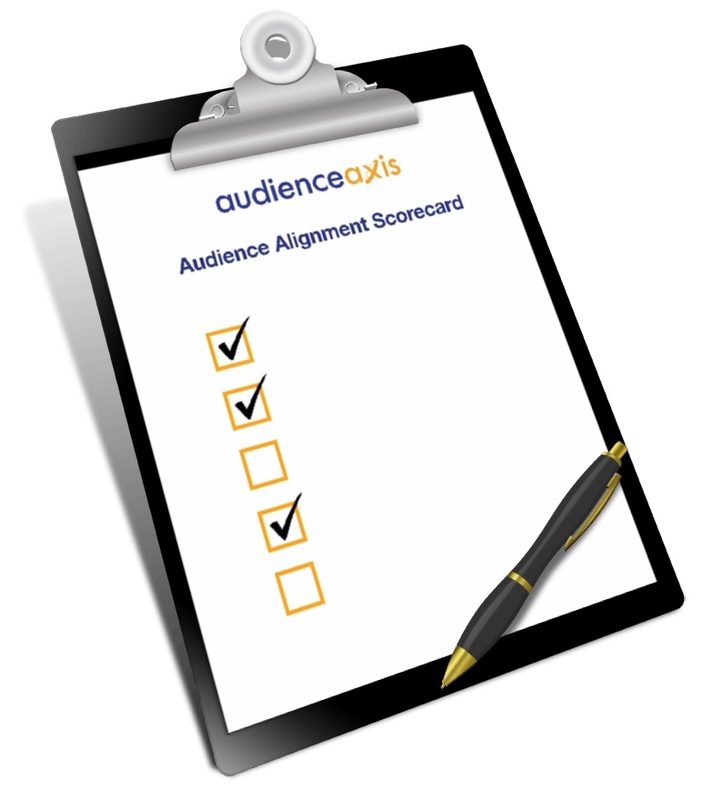 The Audience Alignment Scorecard is a quick way to determine how audience-focused your business really is. This 5-minute online survey will explore three different aspects of developing an audience-focused organization. If you’re trying to sell to everyone, you’re really selling to no one. Strong businesses focus on engaging with and converting a well-defined target audience. And understanding your ideal customer goes beyond demographics, to the root of their challenges and goals. This section of the survey will explore how comfortable you feel in your knowledge of who your best prospects are, and why. Are You Identifying and Converting the Perfect Prospects? Knowing how to find your ideal prospects is an art in itself. The “spray and pray” method of marketing your business simply isn’t going to bring you enough of the people you really want, and you can end up wasting lots of time dealing with prospects who just aren’t a good fit. The questions in this section explore your understanding of how your best prospects have tried to find solutions in the past, why they are still unsatisfied and how prepared you are to overcome their concerns and objections. It also probes your ability to quickly and effectively describe what you do to likely prospects. Are You Intentionally Selling the Work You Really Love? No business owner wants to work as hard as we do just to end up slogging through work they don’t enjoy, for people they don’t want to work with. Crafting a marketing and sales strategy that brings your ideal prospects to your door (and encourages the wrong prospects to stay away) is a key to building a business you love. This section of the survey assesses how your business is doing in encouraging the right prospects, discouraging the wrong ones and using referrals to bring in ideal customers. 5 Minutes to Test Your Business – for Free! In five minutes you’ll have an indicator of how your business is doing today, and some insight into how you can make it better. It’s totally free, and you can take it as many times as you want to see your progress as you improve. Take the free quiz and see how your business stacks up!